You must know when and where to use various common email marketing terms, and also be familiar with their connotations to analyze your email campaigns better. Email marketing forms the core of your marketing automation strategy. Whether it is designing a landing page or launching a drip campaign, all of it is somehow directly or indirectly related to email marketing. While it is crucial for marketers to understand if they are scaring away their users, it is also a much-needed fact that marketers must be well-versed with the email marketing terms and their meanings. Disclaimer: This list also includes various terms and terminologies that are used in marketing as a whole. Most often marketers feel an urge to drop big words within their email content. The trick to luring customers is not by using jargons, but by using the right terminology in the right place. If you are an experienced marketer, you are already aware of all the email marketing terminologies. However, if you are a newbie, fret not. We have compiled the most important and frequently used email marketing terms for you to refer, learn, use and save it. Above the Fold: It is a part of an email message that is visible without scrolling. In web design, print media and email marketing optimizing the content which appears on above the fold section are given particular importance. We live in a world where each email is opened and read-only for 51 seconds. Therefore, it is important to give the right first impression to make sure your emails are read. The content in the above the fold column is going to be read first by the readers. It is up to this section to attract the users. This column determines the success of your email campaign. Originally this was a printing term used to indicate the top of the newspaper. But unlike newspaper the location of the above the fold column is unpredictable. It may be affected by the user’s preview pane, headers place by email programs like Hotmail, etc., monitor resolution and screen size. Authentication: Email authentication helps verify if the email is from you or your business. It is the process of verifying the digital signature of the sender. It protects a brand, sender or company’s reputation. It is the most important factor to improve your deliverability. There are about four important types of authentication in email marketing. They are SPF, DKIM, Domain Keys, and Sender ID. SPF and DKIM are the most widely accepted forms of email authentication. Below are the five to authenticate your email. Authenticate using DKIM and SPF: These protocols have become standard with the arrival of DMARC; a new standard which would enable IP’s to identify and handle unauthenticated emails. For all the IP address create a roadmap: This can help you send emails including external and internal sources like your ESP. Authenticating your entire mail stream is necessary to avoid the risk of being blocked by ISPs at the gateway. Authentication record on SPF and DKIM should be created then published. Make sure to set up your email server to sign an outbound email with DKIM. Make sure to test your records: SPF has various testing tools while DKIM has only two testing tools which are the Policy Record Tester and Selector Record Tester. Blacklist: There is public and private blacklist present, these are IP addresses that have been reported or listed as known source of spam and malware. Most public blacklists are made public. You can gain access to public blacklist for free and sometimes for a fee it can be made accessible. Block: An email is blocked when email server or mailbox provider does not provide an email message to be delivered. Some popular mailbox providers block email from domains and IP addresses that have been reported and send spam, viruses, malware or content that violates email policy and spam filters. Bulk Folder: Bulk Folders are also known as “Spam” or “Junk” folders. Bulk Folders contain emails which can be called as graymail. These emails are difficult to classify. They consist of spams along with important marketing and advertisement emails. Never use false or misleading headings: The “From,”“To,”“Reply-To and routing information which includes the name of the originating domain and the email address should be accurate and identify the person or company who initiated the message. Do not use misleading subject lines: Design subject lines that accurately represent the content of your email. Identify messages as an advertisement: The law requires you to clearly and conspicuously display and inform your recipients that your message is an advertisement. Inform your subscribers about your location: Your emails should include your valid postal address. It can be your current address, a post office box you’ve registered with the government, or the address of a private mailbox you’ve registered with a commercial mail receiving agency. Inform your recipients of a way to opt out from receiving future email from you: Your email messages should have a clear explanation on how the recipient can opt out of getting emails from you. Design the notice in a way that it is easy for any person to recognize, read, and understand the instructions. Use different types of size, color, and location that can improve the clarity. Offer a return email address or any other online way to allow people to communicate their choices to you. Create a menu that can allow a recipient to opt out of certain types of emails, but you must also include the option to stop all commercial messages from you. Be sure that your spam filter doesn’t block the opt-out requests. Honour the opt-out requests of your recipients: The opt-out mechanism that you offer should be able to process the opt-out requests within thirty days of sending a message. The recipient’s opt-out request should be awarded within ten business days. You can’t charge any money for this. Once someone has told you they don’t want to receive more emails from you, you cannot sell or transfer their email addresses to any other party, even in the form of a mailing list it would be illegal. But, you can transfer the addresses to a company you’ve hired to help you comply with the CAN-SPAM Act. You need to keep track of what others are doing on your behalf: You cannot manipulate the law even if you hire an email marketing team to do your work. Any foul play from their side will affect you and not them. Click-Through Rate: Click-Through Rate can be defined as the ratio of users who click on a particular link that directs them to a blog, page or desired location to the total who view an email, page or advertisement. It is measured in direct response to email marketing and not the users who came to the link later. It is used to evaluate the effectiveness of an email campaign. Most marketers count the amount of open, or bounce rate to analyze efficiency and success of an email campaign. According to statistics and studies, Sundays have the highest click-through rates than other days of the week. Click-through rate= Clicks/impressions X 100. Click-to-Open Rate: Click-to-Open Rate is used to judge the effectiveness of an email campaign. Click-to-Open Rate tells you about the number of recipients that have opened the emails and clicked on it. It is the ratio of unique click-through on links within an email to the total number of unique opens of the email. It is usually expressed in percentage. Cloudmark: Cloudmark is a privately owned company which provides protection against spear phishing, threats, spams, viruses, phishing attack. The company is located in San Francisco. This company uses users as a feedback mechanism to identify spammers and block junk emails. Cloudmark has a Global Threat Network which is fed by various means, their desktop spam filter and through ‘This is Spam” buttons that Mailbox Providers contribute through their Cloudmark product. Content Filters: Content filters are software filters that block email messages based on words, phrases, text, and email header. The goal of these filters is to identify spams and to filter Junk or Bulk mail folders although this results in “false positive” sometimes. The work of content filtering is to protect recipients from junk emails and viruses. Sometimes big corporations use content filters to inspect outgoing emails to make sure their employees use the appropriate laws. The user sometimes installs content filters; these filters are either installed as separate programs or as part of their email programs. Do not keep your customers in the dark. Keep them well informed and make sure to keep them engaged. When a user subscribes to your website, send them a welcome email. You can also send emails consistently to keep them posted. You can schedule an automated drip email campaign series and set behaviourial triggers for the same. Send authenticated emails so that they get delivered to your customers. Uses double opt-in options to make sure that the people who sign up for your services get confirmation emails. This move will ensure that you only have recipients who are genuinely interested in your content and services. Avoid using unclear and spammy subject lines. More heads up on effective subject lines. Do not send emails with too many images. Stop sending emails to recipients that never engage. It brings down your reputation and can lower the chances of your emails getting delivered. Make it easier for your clients to unsubscribe from your mailing list if they wish to. This lowers your complaint rate. If a user complains about your contents, quit sending them emails. Do not send emails from another domain. Delivered: Delivered emails refer to the number of emails that were successfully delivered to the subscriber’s inbox or junk folder. It is the Total Number of Emails Sent minus Bounced Emails. DMARC: DMARC is known as “Domain-based Message Authentication, Reporting & Conformance.” This is an email authenticating protocol. It is a technical specification that is created by an organization to reduce email frauds and phishing threats. It is built on the SPF and DKIM protocols, adding a reporting function which allows senders and recipients to improve and monitor the protection of the domain from fraudulent emails. It is used by all the main mailbox providers such as Outlook.com, Gmail, and Yahoo Mail. DKIM: Domain Keys Identified Mail (DKIM) helps an organization to take responsibility for an email message in transit. It allows the sender to associate a domain name with its email, vouching for its authenticity. It is done by signing the email with a digital signature. The signature is generated by the sending mail transfer agent (MTA) using an algorithm. The organization is the handler of the message either originally or intermediary. DKIM provides a method for validating the domain name from where the message is coming. It helps to develop trust and reputation. Domain: A domain is a business or organization’s registered name on the internet. Domain Name System (DNS): Domain Name System (DNS) can be described as a hierarchical and decentralized naming system for services, computers and any resource which is connected to the Internet or a private network. It can be associated with information connected with domain names assigned to one or many participating entities. It is the actual name of an IP address or IP addresses. Paul Mockapetris created it in the year 1983. Drip email campaigns: Drip campaigns are a series of emails that are pre-scheduled as per set behaviourial triggers. For instance, when a new user signs up, a welcome email is automatically sent. Next, onboarding emails are sent after a certain time gap. In drip email campaigns, one can schedule when the next email will be sent. If a user gets stuck midway while accessing a website, that can trigger an email that will help them get started from that point. After a gap of one or two days, another email will be sent (which is already pre-scheduled for such scenarios). Dynamic Contact List Segmentation: Dynamic contact list segmentation negates the need for manual email list building. Based on lead behaviour and activity on website and apps, marketing automation tool (like Aritic PinPoint) automatically buckets lists into various segments. Aritic PinPoint segments list based on demographics like age, location, date of the subscription, etc., buyer’s stage in which that particular lead is in, events, and lead behaviour. Email Change of Address (ECOA): It is a service which tracks email address updates and modifications. Email Client: An email client can be defined as an email reader or mail user agent (MUA) which is a computerized program used to manage and access a user’s email. The Email server transports emails while an email client is something with which users interact. Email clients are sometimes software application like Lotus Notes, Outlook Express, and Webmail services which are provided by Yahoo, Outlook, and Gmail. Email Service Provider (ESP): This refers to a company which provides bulk email services and email marketing. It can be defined as a company which sends email on behalf of their clients. 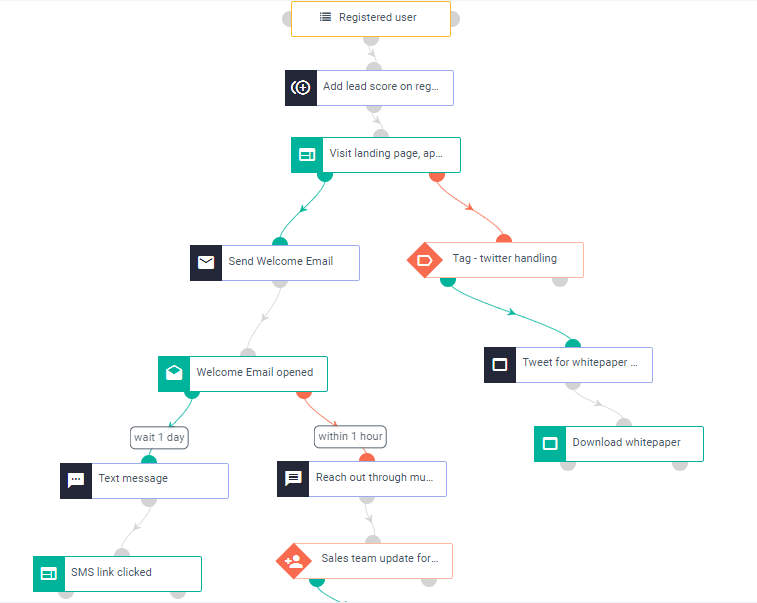 Email Workflow Automation: Email workflow automation refers to the sequence in which your emails will be sent. It starts with lead capturing to nurturing and conversion, and after that as well. With Aritic PinPoint, you can automate your email workflow seamlessly. Feedback Loop: A feedback loop is also known as complaint feedback loop. For a mailbox provider, a feedback loop is a signal from the users to determine what emails are spams and unwanted. Most mailbox providers offer FBL programs to its senders to remove users who complain about the emails they receive using the “This is Junk/Spam” button. From Line: From Line indicates the identity of the email sender. The From Line can be from an address, from an individual sender or a company. Gated content: You can place a gated content within your email as well. Gated content denotes a type of content that requires your users to input some information in order to continue viewing or accessing that content piece. It is a great way to capture lead information effectively. Greylisting: Greylisting can be defined as a method of defending e-mail users from spam. A receiving server may temporarily reject an email that it doesn’t recognize using greylisting. The receiver will presume that if the sender is genuine, he/she might try to send the email again and at that time it would be accepted. Greylisting is somewhat controversial and has many disadvantages. Greymail (or Bacn): Greymail (or Bacn) can be defined as solicited bulk email messages that do not fit into the category of email spams. They are not read by the recipients for a long period and sometimes are never read. Greymail can also be defined as an email you want but not in the present. These emails are not spam, as users have subscribed to receive them. Hard Bounce: Hard Bounce is permanent email bounces that happen as a result of sending emails to non-existent, closed and invalid email addresses. They can be easily be identified by a 500 series SMTP reply code. HTML Message: HyperText Markup Language syntax and encoding are present in email messages. Receiving email clients (MUAs) should be capable of rendering and encoding HTML and HTML Messages. Senders often utilize HTML in email messages. It is done to take advantage of text formatting and design layout, beyond the possibilities of plain text messages and images. Inactive: Inactive accounts are accounts that do not respond to your emails or open them within a certain amount of time. It may be because these accounts are no longer active or they have lost interest in your brand. Whatever the case is, it is wise to remove them from your mailing list as it can hurt your reputation. [If these accounts were once very active, you might want to launch a re-engagement campaign for this list in particular]. Inbox Placement Rate (IPR): Inbox Placement Rate (IPR) can be defined as the rate of email messages that are delivered to the inbox, versus the spam folder. The formula for inbox placement rate is the number of emails delivered to the inbox divided by the total number of emails sent. Inbox Placement Rate= Number of emails delivered to the inbox/ Total number of emails sent. Infrastructure: Infrastructure refers to the actual hardware which is used to deploy your emails or to have your emails implemented by an Email Service Provider (ESP) on your behalf. The hardware is called as Mailing Transport Agent (MTA). Internet Service Provider (ISP): This refers to a registered company that is entitled to provide internet access to its consumers. IP Address: It is a unique number which is assigned to each device that is connected to the web. An IP address can be both static and dynamic. It can be dynamic and change every time an email message or campaign goes out. It can be static which means that it never changes. Dynamic IP address sometimes triggers spam. Therefore, static IP addresses are more preferred. Junk Mail Reporting (JMR): Junk Mail Reporting (JMR) is the name of Microsoft’s Feedback Loop program. It is used by Outlook.com. List Fatigue: List fatigue is a condition which produces diminishing returns from a mailing list whose members have been sent just too many offers or too many emails on the same offers, in very short a period. It results in the email marketing campaign not being effective to mobilize attention and financial gains. List Hygiene: List hygiene is a crucial practice that maintains your mailing list. It protects you from high numbers of hard bounces. Hard bounces and unsubscribed users are removed from your mailing list on a daily basis. Some people use email Change of Address (ECOA) service for maintaining or updating abandoned and old email addresses. List hygiene is important to maintain your email reputation and falling into spam traps. List Purchase: List purchase is a practice where an advertiser or publisher pays the owner of a list for access to the entire email list they possess. The publisher or advertiser would then be the owner of the list and send it over to their system to send emails. This practice is usually one of the worst ways to gain customers and may result in high complaint rates and spam trap hits. The purchased lists are usually of poor quality. List Rental: In list renting, an advertiser or publisher pays the email list owner to send email messages to its list. But the advertiser or publisher cannot gain access to send emails to the list unless the users opt-in to their email program. The list owner sends email messages in place of the advertiser or publisher. List-Unsubscribe: The List-Unsubscribe header is located in the header of your email message which allows the users to unsubscribe to your email campaign. It is located at the top so that it is easily visible. If they click on this button, they can easily unsubscribe to your program. List-Unsubscribe is used by Cloudmark, Outlook.com/Hotmail, and Gmail. MTA (Mail Transfer Agent): It can be defined as a server that readily accepts messages for delivery to local subscribers or users. Mail Transfer Agents are programs on email servers. It is responsible for routing and delivering emails. MUA (Mail User Agent): MUA allows users to retrieve and send emails from their computers. Examples of Mail User Agent are Netscape Messenger, Microsoft Outlook, and Eudora. They are components present in the SMTP system which is responsible for creating email messages for transfer to an MTA. MX Record (Mail Exchange Record): Mail Exchange Record is a kind of a resource record in the Domain Name System which helps specify a mail server responsible for accepting messages on behalf of a recipient’s domain. It is also a preference value used to prioritize mail delivery in the case when multiple email servers are available. Open Rate: Open Rate can be described as the number people on your mailing list that open your emails. It is expressed in percentage. Open rate is the key metric when judging the success of an email campaign. But judging an email campaign on the open rates has its drawbacks. This rate only tells you about the number of emails opened from the total number of emails sends but not from the actual number of emails that were delivered. Open rates also cannot be just calculated on HTML text read but also on the images that were downloaded, as the images are an important part of a campaign. Also, some users open the emails to scan and do not read anything. Opt-in: In email marketing, opt-in means sending messages only to those recipients who have subscribed to receive your emails. If a customer requests for information, you are allowed to educate them by sending them emails. To send marketing emails, you are required to email them to grant permission. Opt-out: In email marketing, some companies assume that you have given them permission to send marketing messages when you have just granted them general authorization to email and are not interested in their marketing emails. You can Opt-out of this program, and the company has to grant your request. Phishing: Phishing is a fraudulent practice of sending emails disguising and pretending to be someone else or a reputed brand to trick people into giving out personal details like passwords, ATM numbers, Bank details, credit card numbers, social security numbers, etc. POP (Post Office Protocol): POP (Post Office Protocol) is an Internet standard protocol which is used by local email customers to retrieve emails from a remote server over a TCP/IP connection. The POP server stores incoming messages until the client logs in and downloads the email message to their PC or laptop. Postmaster: A postmaster is an individual who manages email servers at a company or organization. Postmaster is a person to go to log complaints and request for information. Preview Pane: This allows the users to preview the email content without having to click on the message. This setting is available for desktop and webmail clients. Pristine Spam Traps: Pristine Spam Traps are email addresses which are created by the intent to prevent malicious mail by mailbox provider or a blacklist. These traps are hidden throughout the internet. They are usually acquired or clicked on by “scraping” websites who are looking for email addresses. Read Rate: Read rates are the percentage of your emails marked read by your subscribers. 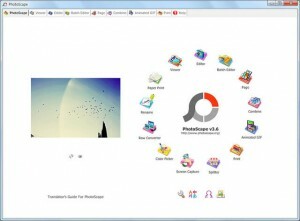 It is more accurate than open rate and does not depend on the images downloaded. Receiver: This is a very generic term. It is used to describe an ISP, Mailbox Provider, or a network that accepts as well as delivers a huge amount of emails. Recycled Spam Traps: Recycled spam traps consists of email addresses which were once active but are now long abandoned and used by mailbox providers as spam traps. An error code is sent to abandoned email addresses once a year by the mailbox providers before turning it into spam traps. Once the accounts are reactivated, they can receive emails again. If you fall in one of these spam traps, that means that you list hygiene is not up to a point. Re-engagement Campaign: It is an email campaign sent to inactive and non-responding accounts to engage them with your emails again in the form of conversations, opens, and clicks. It can be sent as a stand-alone campaign or in the form of series of campaigns. Start with your re-engagement campaigns right away. Reply-to Address: It is the address that will receive the emails from the users when they reply to the email sent to them. It can differ from the “from” address. Reputation: The reputation of an email sender is comprised of its domain and IP reputation, and is usually developed using different types of metrics, like complaint rate, unknown user rate, spam trap hits and email volumes. Mailbox provider considers email reputation of the sender before placing them in the spam box or inbox of the recipients. Various analytical tools can track reputation. Responsive Design: Responsive design allows emails to automatically re-format and re-size itself to optimize for whatever screen size the clients are using to read emails. It can help to hide non-essential elements of the email from the mobile reader. Responsive Design ensures that the main part of the email is easily found. It can change the other aspects of the email which includes the text size, text color, background images and background color. Return-Path: This term is often used as a synonym to ‘bounce address’ or ‘envelope sender address.’ Return-path is the original ‘from addresses.’ It is not the ones that friendly ‘from address’ that you see when you receive an email. Notification for email bounces is sent to this original address. Reverse DNS (rDNS): It is the process in which an IP address is matched correctly to a domain name instead of its reverse. It is a popular method of catching spammers. Spammers use invalid IP addresses which are detected easily by a reverse DNS. Emails may get rejected if the program or spam filter fails to match the IP address to the domain name. Segment: This term refers to the option of segregating your email list into specific categories based on various attributes. Sender: This refers to any company in general that sends plenty of emails to a long list of subscribers! This authenticates the email senders and helps in averting email forgeries. Until 2013, Microsoft voiced its support for Sender ID. Later it made a shift to SPF and DKIM. Server: It is a computer system or program which stores and distributes email from one mailbox to another. It can also relay emails from one server to another in a network. Simple Mail Transfer Protocol (SMTP): RFC 821 and RFC5321 define the primary protocol that is used to send emails over IP networks. Smart Network Data Services (SNDS): Windows Live Hotmail offers Smart Network Data Services. SNDS sends data to senders which are based on actual emails sent to Hotmail subscribers. Metrics reported include complaints, Smart Screen filter results, and spam trap hits. Green color indicates less than ten percent spam; yellow color indicates spam percentage between ten to ninety percent spam and red indicate more than ninety percent spam. Soft Bounce: When an email is forwarded to an active email address, but it fails to reach the inbox of the recipient and bounces, such an email bounce is known as soft bounce. 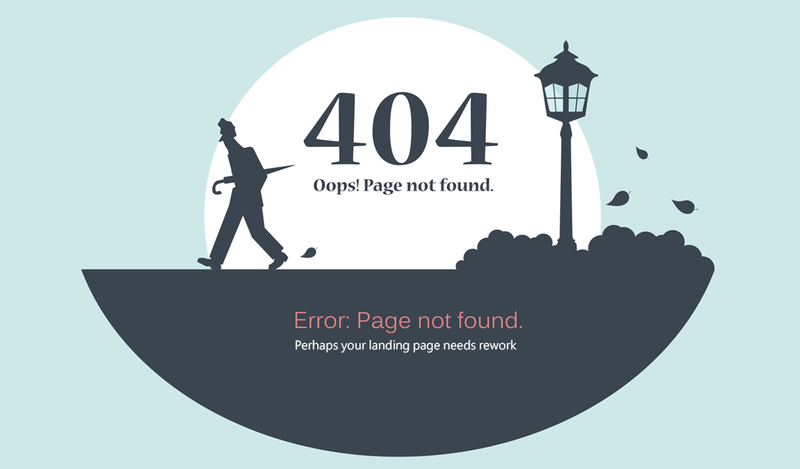 The reasons for a soft bounce are fixable and are due to temporary issues such as the server is down, or the recipient’s server may hold it and delivered later. These emails can be easily identified with a 400 series SMTP reply code. Spam: Spam can be defined as an unsolicited email. It is an email message you did not ask for and did not require. Not all unsolicited emails are classified as spams. Spam Filter: They are filters or mechanisms that are used to identify spams or malicious emails and keep them out of the recipient’s inbox. Spam Cop: It is an email spam reporting service. Many Mailbox providers use it. They check the IP address of an incoming email with the Spam Cop’s database to know if the address has been blacklisted for sending spams or malicious content. Sender Policy Framework (SPF): It is a protocol which is used to stop email forgeries. It is a simple validation technique to prevent email spoofing. Codes called an SPF record are kept in a sender’s DNS information. By reading the SPF record, the email server can verify sender from its incoming email server. Spoofing: A fraudulent practice of changing the sender’s name in an email message so that it can be easily mistaken to be sent from a different source. Sender Reputation Data (SRD): It is used by Microsoft Live Hotmail, MSN Hotmail, and Outlook.com. It is a collection of responses from feedback loop participants over a period. Subscribe: It is the process of joining a mailing list either by filling a list or through a through an email command. Subscriber: A user who has specially requested to be a part of your mailing list and is interested in your content. Suppression File: Suppression file is the list of email addresses that you have removed from your regular mailing lists because they have opted out of your lists or they have notified other mailers that they do not wish to receive any emails from your company. This is Spam Rate: This refers to the percentage of emails that recipients have marked as spams against the total number of emails that were delivered. This is not Spam Rate: This refers to the percentage of emails that got recovered from the junk or spam folders. Throttling: Throttling is the practice of regulating the number of emails a broadcaster can send to one Mailbox Provider or mailbox server at a time. If the maximum number crosses, certain mailbox providers can cause the emails to bounce. Transactional Mail: Transactional email can be defined as an email which facilitating, completing or confirming a transaction. Transactional emails do not require a Postal Service address or an unsubscribe link. Unknown User: An Unknown user is a user whose email address does not exist. It may be due to spelling errors or when certain users have deleted their email address. Hard bounces occur due to unknown users. If you have many unknown users in your mailing list your sender’s reputation may go drastically down. Whitelist: Whitelist is a list of contacts that the user finds acceptable to receive emails. Emails from these senders should never be placed in the spam or junk folders. X-Header: It is a user-defined header element which is injected into the header portion of an email message. And we reach the end of the list of email marketing terms. Although there are much more terms that are used, these are the few most frequent ones to keep in mind. If you think of any other term that can make it to this list based on its importance in the marketing domain, let us know in the comment section. I thoroughly enjoyed reading your blog post. The tips and tricks are perfect, and they will prove to be helpful for all sorts of business organizations. 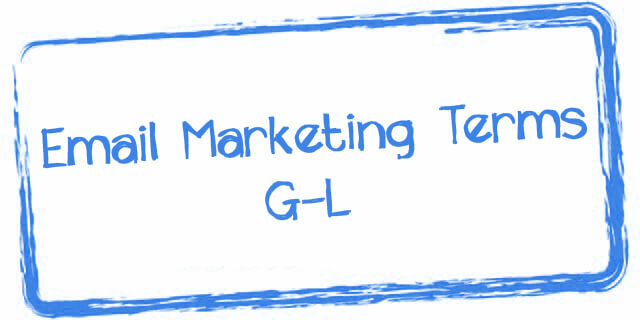 Thanks a lot for updating the blog about the email marketing terms. Thanks a lot, Ankit, it was a fantastic article as it contains every email marketing terms. Every marketer must understand every term very thoroughly. Thanks, Ankit, a very informative post as it cleared myths about animated GIFs which can be utilized in making marketing campaigns. Every marketer should be a master in these email marketing terms. Thanks to the Aritic team for making us understand these terms. Languages are getting shorter day by day. Honestly, it is hard to keep up. It is an informative blog, and definitely cleared off whatever doubts I have. Cheers to not making silly mistakes now. 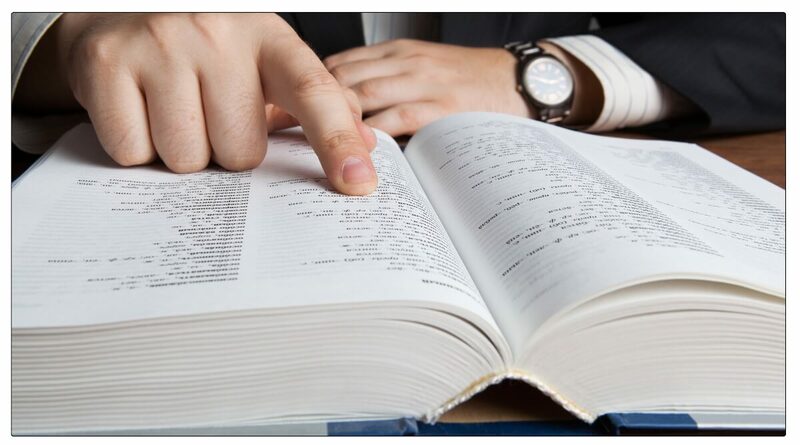 Thanks for sharing this blog; it was beneficial as some terms were Greek and Latin for me!! I used to feel left out when an in-depth discussion about email marketing used to take place in my work place. I think these common email marketing terms and definitions that you have shared will help me expand my email marketing vocabulary and make me look and feel like an expert! For an email newbie like me, it is a little hard to understand a marketer’s marketing lingo. I am sure this blog will help me to some extent to improve my vocabulary in marketing. This is so informative! Thanks for bringing together all this glossary of email marketing terms in one place so that I can refer it back when I sometimes wonder what the heck my boss was talking about! I am new to email marketing, this blog is very insightful and it cleared most of the doubts that I had about thetechnological terms used in this field. And also I agree with the fact that the key to attract customers is not by merely using a specialized language. Just by using the gigantic terms in the emails will not lure the customers, one must strive to upright the customer’s request when he opts out from receiving the mailers from you. Keeping the customers in the dark is not ethical at all. Fabulous article. One of the terms I often come across is Phishing. Often I receive emails that asking me to guard against phishing of my mail account. Now with this article, I completely understand the meaning and menace of Phishing, the fraud of sending emails that don’t mean a thing sincerely and are only to attack and steal our financial information such as passwords, ATM numbers, Bank details etc. Your blog is really insightful. Especially, it is beneficial for those who are new at email marketing. When one is dealing with email marketing he should know all the technological terms for having a better understanding of the industry. I love you have taken out the time to list all the email marketing terms in the alphabetical order. I have come to know many new terms from this post.